I’m not from London, so I’ve never felt a real Londoner. Still, I’ve lived here on and off nearly half my life; my family is here, my life is here, both my kids were born here. 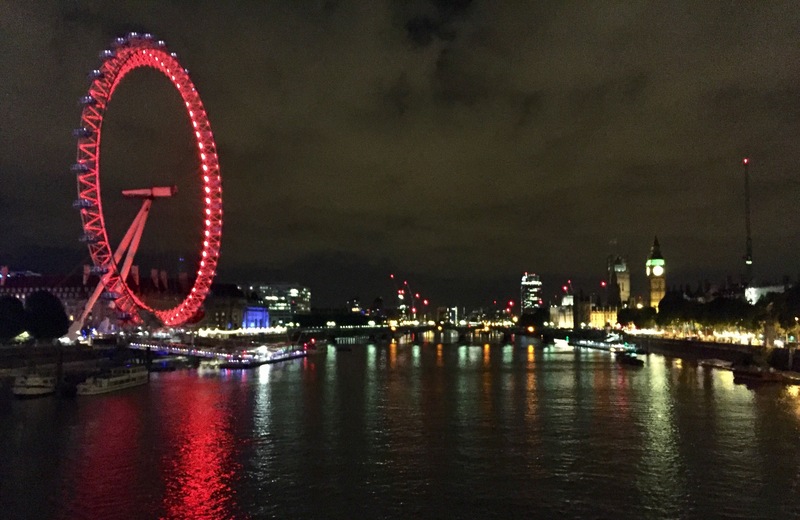 On Friday, I found myself walking across one of London’s bridges by night and took a photo (above). The people I walked past were from many different places, indeed many different countries; all enjoying a beautiful London evening. Of course it’s not all fantastic. Too busy, too expensive, often choked with people and traffic. And you see people struggling: sleeping rough, struggling with booze, drugs, crime and poverty; people who are really up against it. But London is a great city. Of all the great capitals I’ve visited, only central Paris beats it for beauty – and maybe New York for chutzpah. There are places of antiquity with stunning sights and history – amazing Istanbul or Rome. There are places I’ve lived with more steel and glass: Hong Kong the most obvious. But London has pretty much everything you could ever want or need. But why London is so special came home to me the other week; on the tenth anniversary of the 7/7 London bombings. I arrived in London 25 years ago, and as Ken said, this great city has enabled me to achieve my potential, and fulfil my dreams. Just as he describes, I have been free to live the life I have chosen, and to be myself. I’m proud that this city – my city – finds a place for all sorts of people, and lets them be who they want to be. Ken Livingstone’s words from ten years ago made me realise; although I wasn’t born here – I am a Londoner.